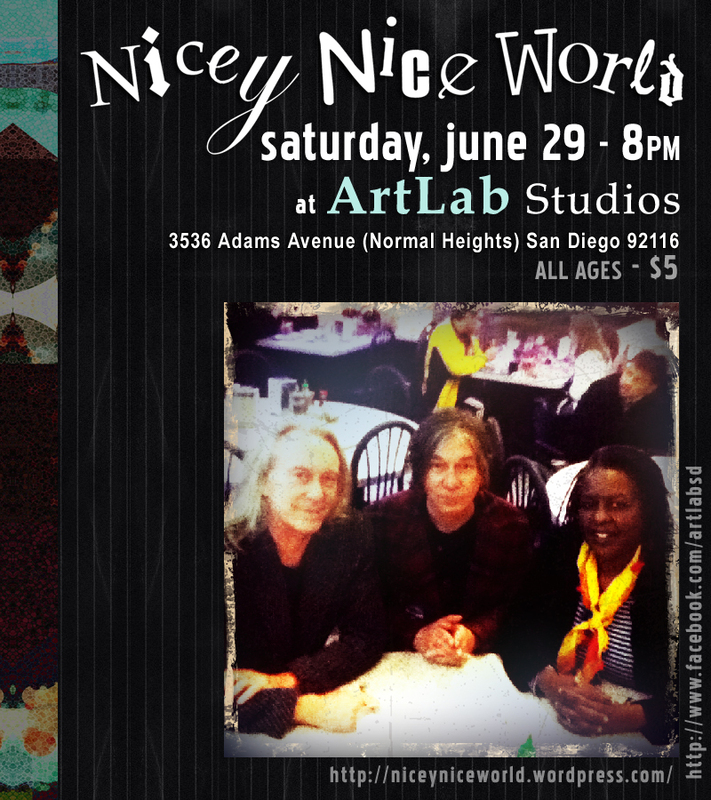 Nicey Nice World | BE NICE! 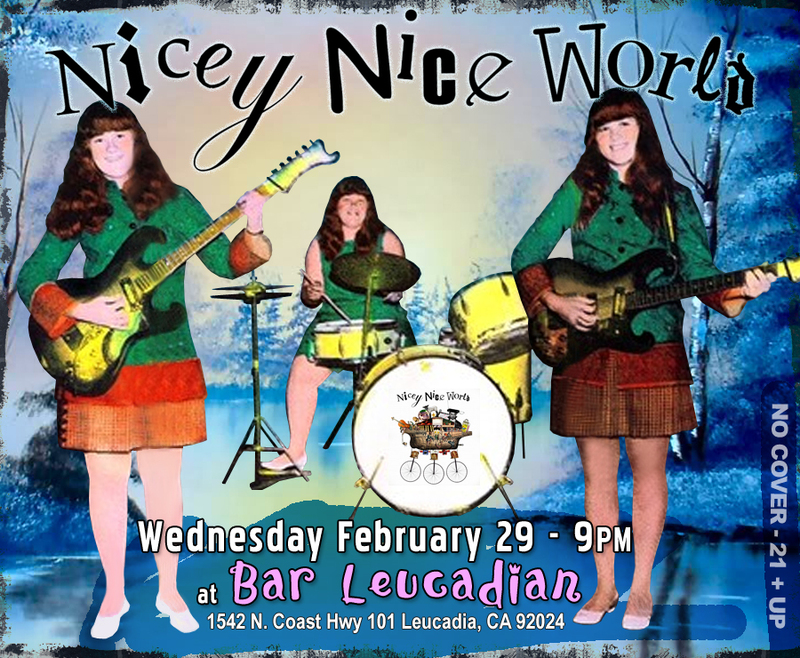 wednesday 2/29 2 sets at bar leucadian! 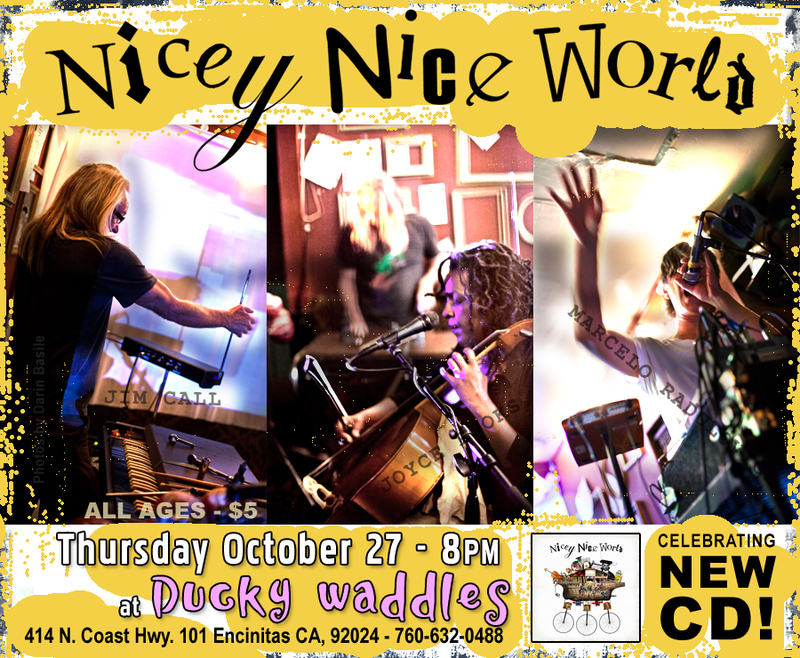 Thursday 12/15 live at The Whistle Stop! 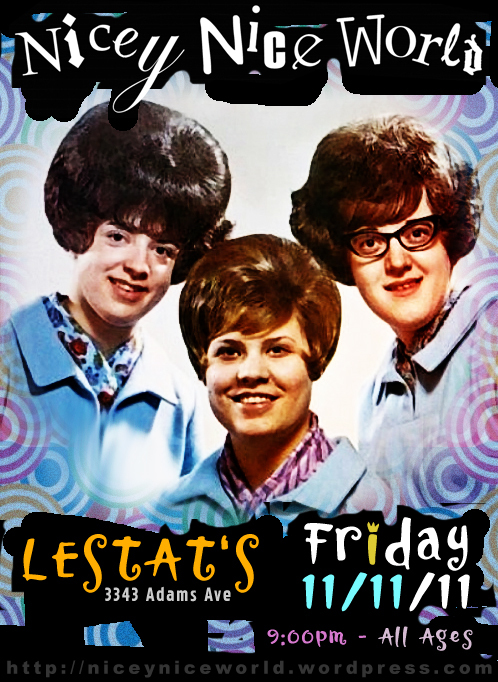 live friday 11/11/11 9pm lestat’s! 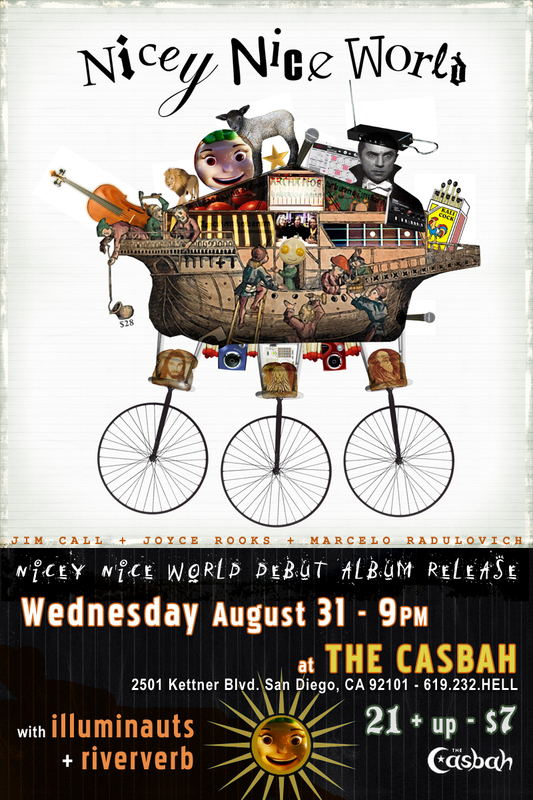 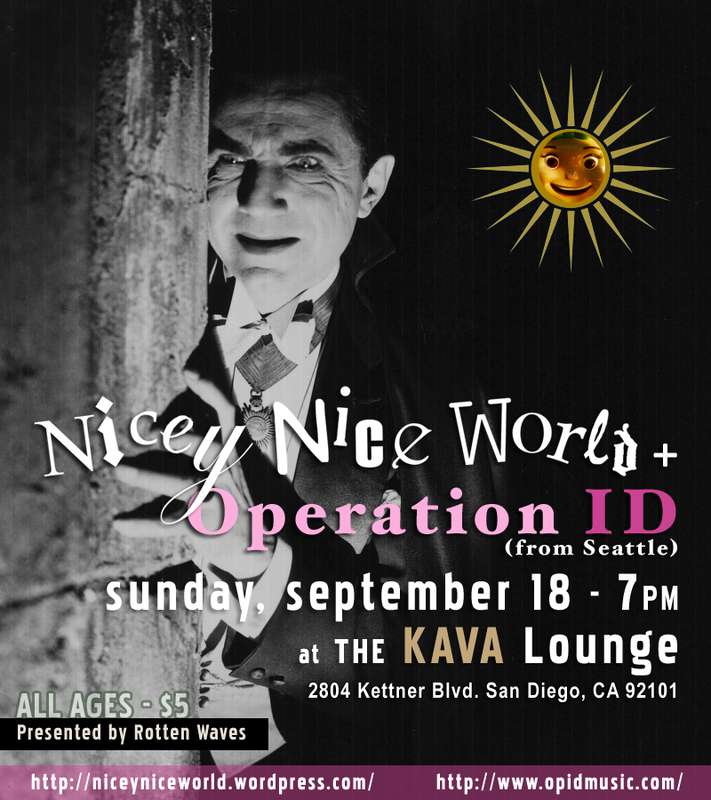 Wednesday, 8/31 LIVE at The Casbah!